This is a medley of delicious dried fruits and nuts. 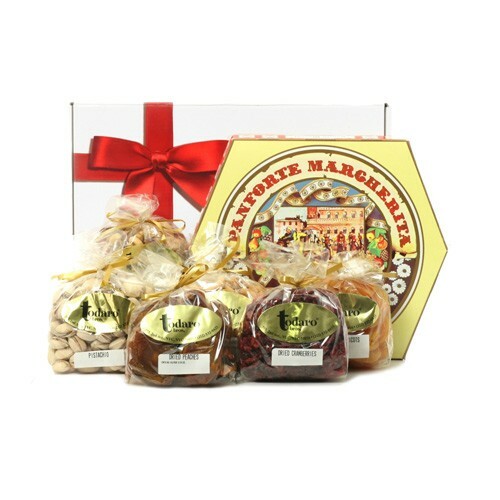 Included are: Panforte (traditional fruit and nut cake from Siena), pistachios, assorted mixed nuts, dried cranberries, dried peaches, and dried apricots. Occasionally substitutions of equal value must be made but the theme of the basket is always consistent.